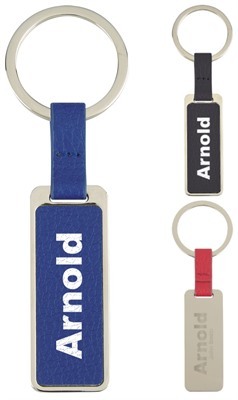 Brand your Logo onto Leatherette Keyrings, they make great freebies to hand out to clients. Stylish and functional keyrings make great advertisers for any type of business. Imprint with your name and logo and offer at seminars, conferences, trade shows and expos. The leatherette tag comes in a choice of black, red or royal blue and has a split ring attachment.